What is a Bail Bond Exonerated Status? When dealing with bail bonds, you begin hearing many different legal terms that can quickly get confusing. One of the more misunderstand terminology is a bail bond exonerated. It is important to note that eventually, all bail bonds will get considered as exonerated. 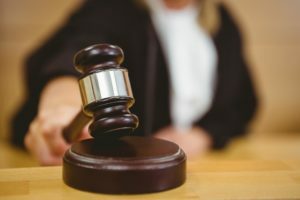 All that means is that the court has reached some form of decision, and now the bail bonds service provider is no longer financially responsible. An exonerated status is not reflective of how guilty or innocent someone is in court. In fact, exoneration also takes place if a case gets deemed a mistrial, or otherwise ended. Do I Still Owe Money? A bail bond exonerated status simply means that there is no longer any need for it to remain active. It has run its course, and now it no longer applies to your case because it has ended. Unfortunately, what many clients may not realize is that just because your bond is no longer active doesn’t mean that all of your legal financial woes have ended. Now that a bail bond has reached an exonerated status, the company that you used will now likely want their cash back in full. That often gets collected in unpaid premiums, additional fees, or other costs that haven’t gotten covered yet. And if you had a sizeable bond amount that required collateral, you may have to give up assets now to cover them as per your agreement. If your bond currently gets considered exonerated, your case may have gotten dismissed. However, being told what your bond’s status remains is not necessarily an indication of where your trial is now. While a dismissed case may end the need for a bail bond, it doesn’t mean that you’re out of the woods yet. It may merely state that the court no longer requires bail from you, but you may still need to appear in front of a judge. What if I don’t Finish Paying? Some clients may think that because their bond is no longer active, that they don’t need to pay the remaining balance. However, skipping out on paying your bail bondsman is not something you want to do. Because your bail is no longer required, they are not capable of arresting you for non-payment. However, since you still owe them money, they can, and will, sue you for the rest.